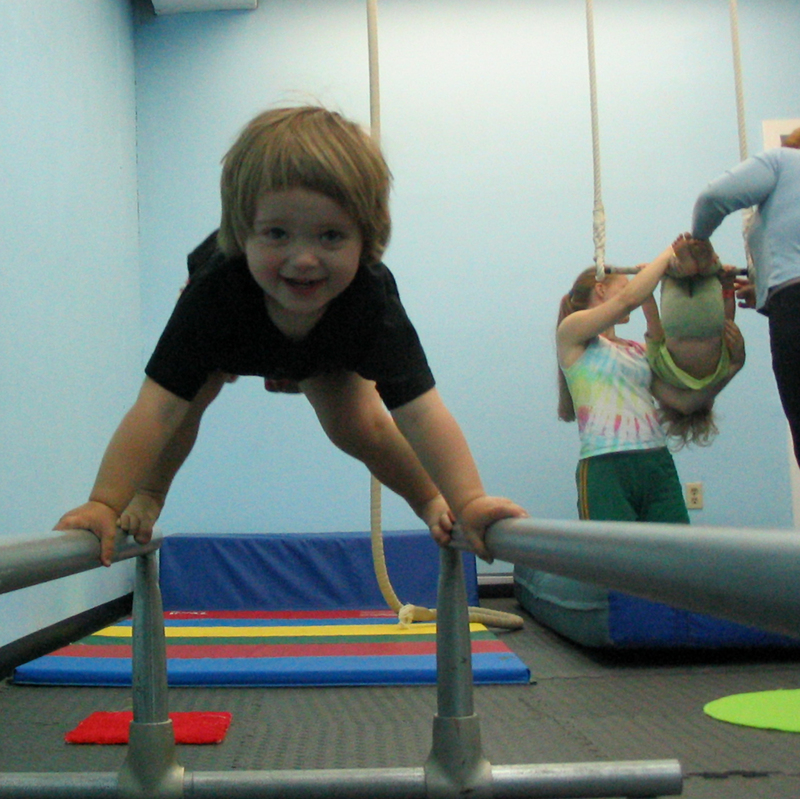 Circus Arts Classes for students ages 2 to 3. Baby & Me is for our youngest students and their favorite grownups! Students will participate with an adult in this class to focus on physical, behavioral, and social development. Our Baby & Me class is designed to help increase motor skills, strength, and coordination all while acclimating our students to following directions and participating in a group environment. FULL – Class Starts 4/21!